Interview with Pat Collins (Silence, 2012). Pat Collins may perhaps be better known for his engaging documentaries but this year sees the release of his debut feature film in the UK. Silence is a stunning debut film, full of philosophy, poetry and visual beauty. The film shows a confidence within the new form as well as an expert use of layering different emotions and textures upon one another. A full analysis essay of the film can be found here. Celluloid Wicker Man: Where did the themes for Silence develop? Were they something you’ve always been interested in or something brought on recently by some interest in sound? Pat Collins: Originally some of my ideas for the film emerged from a book called The Hidden Ireland by Daniel Corkery. It had a big impact on me, imaginatively. And I was always fascinated by the folklore collectors who went around Ireland in the 1930s and 1940s – people like Seamus Ennis and Seán Ó hEochaidh – who travelled from house to house and collected stories and songs and folklore. It’s a romantic notion I suppose. 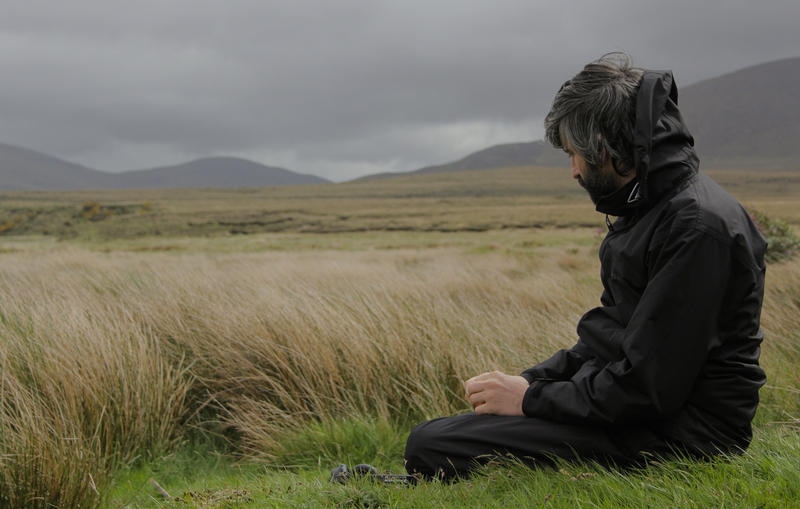 So I wanted to make a film about someone travelling around Ireland meeting people, but I wanted it to be set in a contemporary context, so it evolved from being a folklore collector to being a sound recordist. Though our character Eoghan is trying to get away from man-made noise and away from people, he always seems to meet someone; so he’s still hearing stories. Sound came later. The film uses a mixture of performances and people who are playing themselves. Are these people filmed as themselves in the style of a documentary? If so, does the use of real conversations make the performances in the film more real or does it make reality more cinematic? How did you approach balancing the mixture between the real and the fiction? I wasn’t looking to create a documentary authenticity. I wanted it to be more like real life. I think if the entire cast were professional actors, the film would be very different. It would have a different feel. I did hire one or two actors and they suited what I wanted for those particular scenes. Many of the scenes were filmed as if we were making a documentary. Long scenes of talking that we edited back. The silence that Eoghan is looking for quickly turns from a technical desire to a more philosophical one. Is this the character’s (and your) perspective or was Eoghan always looking for more than a true silence? Silence is as much about sound as silence. His task of trying to record silence burns off in the course of the film, so the film becomes about something else. But the act of recording in the landscape is crucial to the film. Silence uses a mixture filming techniques and imagery, especially the startling use of an array of different archive footage. In this sense, the film seems to become about silence being akin to nostalgia and for a sense of home. Was this sense of nostalgia something aimed for within the film and why the archive material appears as asides or were there other reasons for including the material more due to narrative intentions? The archive was always going to be part of the film. We wanted layers, of different generations and also to work against nostalgia. Hence the scene with the drowning of the dog. But as a film maker you must be aware of others who recorded before you and in some ways using archive is honouring them. It’s partly that I’ve seen the footage on TV and they have burned into my mind and I feel I must integrate them into my own work. As if they were my own memories. For a film seeming to be about the desire to find silence (which is assigned some way into the film as somewhere without the sounds of people) there’s a great deal of music used from Rory Gallagher and Sandy Denny to Mahler. Did any of the music have a particular relevance to the characters or the themes within the film? The music is also mixed interestingly in that, even though being hinted at being on some occasions played in Eoghan’s car, is mixed at a level clearly outside of character’s diegetic world. Was this part of the film’s continued emphasis on the illusions that sound can create (being that sound from scene to scene segways in at different points in a highly fluid and unusual way to more typical cinema soundscapes)? Well we thought that Rory Gallagher would be suitable for an Irish man travelling back from Germany to Ireland. The Sandy Denny song ‘Where does the Time Go’ is clearly related to the times in the film. That was a suggestion of the editor and I agreed. Much of the music emerged in the edit. I can’t remember but I always presumed that the only music would be from a radio etc But we managed to create a design that could incorporate music, such as the Akira Rabelais track. There was also talk in the edit that the soundtrack could be created by Eoghan, the character after he returned to Germany, if indeed he returns. That the soundtrack was like a creative record of his time there. The film also focuses a lot on the landscape of the country and different textures that can be created from filming there whether it’s marshland, hills or fields. There are of course obvious ties to the general type of location and the main character’s desire to record away from civilisation but is the capturing of the landscape something that was interesting to you anyway? The sound artist David Toop says that sound is “a haunting”. And I think there is something in that. I appreciate nature, unspoilt nature and I’m comfortable in nature mostly. But for me human occupation is important. I don’t like the notion of a countryside kept pristine for the holiday makers. So give me a living community every time. 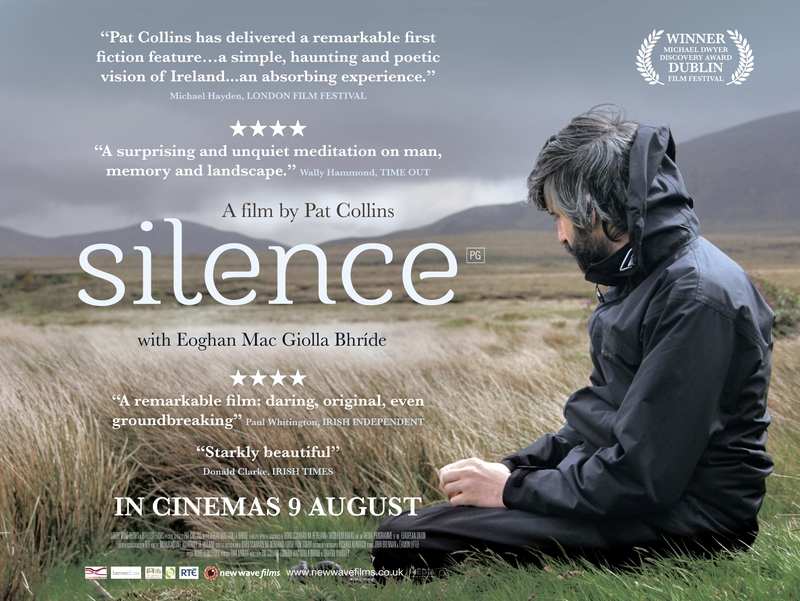 Silence (Pat Collins, 2012) – Landscape and Nostalgia.